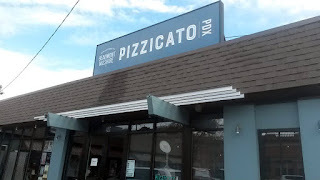 I hit a respectable number of spots during 2017 Portland Pizza Week last month, and this was next on the list. 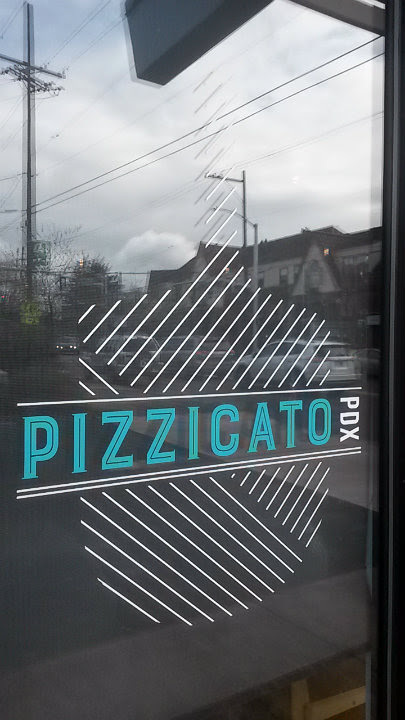 Being far out of the loop, it took me a while to realize there were a bunch of Pizzicato locations. The $2 special slice during Portland Pizza Week was the Asparagi. 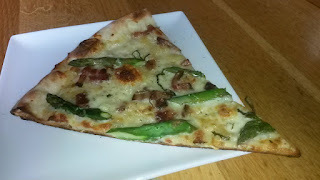 Mozzarella, blanched asparagus, bacon, and gorgonzola on a garlic and olive oil base. 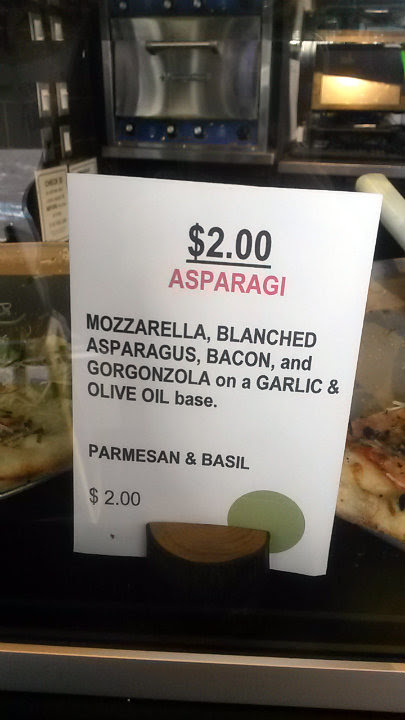 I wondered how much gorgonzola would be used here, as adding too much could have overwhelmed the entire pizza. Luckily, everything was wonderfully controlled, and I could appreciate all the flavors. 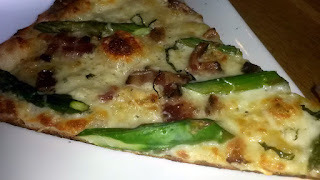 Again, awesome crust, great crunch. During pizza week especially, it's important that the orders be completed very quickly. Slices are reheated, like at most spots you'll go to. Great job here; my pizza got to me again in that 2-3 minute time frame. Pizzas otherwise come in 10", 12", 16", or 18" sizes. After scanning the menu, I'd be most interested in the Squisita, Al Greco, Gamberetto, or Thai Chicken/Shrimp pizzas. Both the Squisita and Al Greco have lamb sausage and feta, but Squisita has a pesto base, while Al Greco has a garlic/olive oil base. The Gamberetto and Thai pizzas may have shrimp on them...sign me up all day.